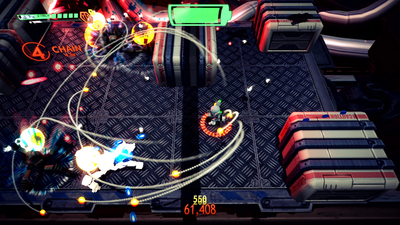 Experience an arcade style twin stick shooter set in a vivid sci fi universe. Junior Constable Cactus is outside her pay grade when she responds to a distress call and ends up stranded on a crippled space freighter under attack by its own robot workers. With a draining battery mechanic instead of lives, Assault Android Cactus+ challenges you to think fast and shoot faster. 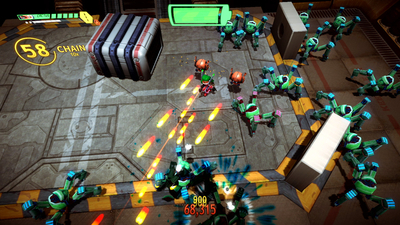 Charge head first into an army of refitted robots, transforming stages and massive boss showdowns. - 9 playable androids, each with a distinct play style and personality. - 25 stage campaign, Boss Rush, Infinity Drive and Daily Drive give you many ways to play. - Online leaderboards to compare yourself against your friends and the world. - Unlock game modifying EX options, explore the codex and listen to Developer Commentary. - An all new Campaign+ mode with remixed stages for a fresh challenge. 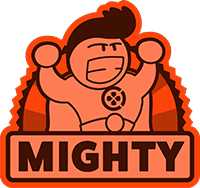 - Supports local co-op in all game modes up to four players. - Play with any configuration including Nintendo Switch Pro Controller and single Joy-Con controllers using aim assist. 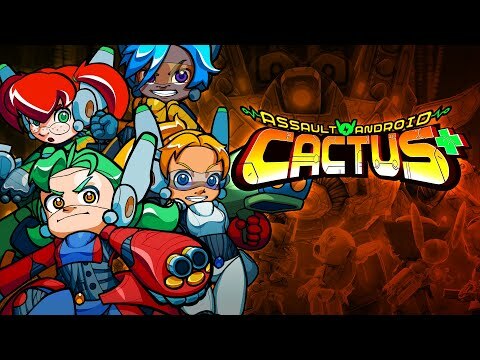 Assault Android Cactus+ is the baked potato of twin-stick shooters. A perfectly cooked center, loaded with all the extra goods, and a dollop of charm for good measure. It's a perfect fit on Switch with its drop-in multiplayer and bite-sized levels, especially for those with score-chasing in mind. The Switch isn’t exactly light on twin-stick shooters. Assault Android Cactus + is easily in the upper echelon, though. 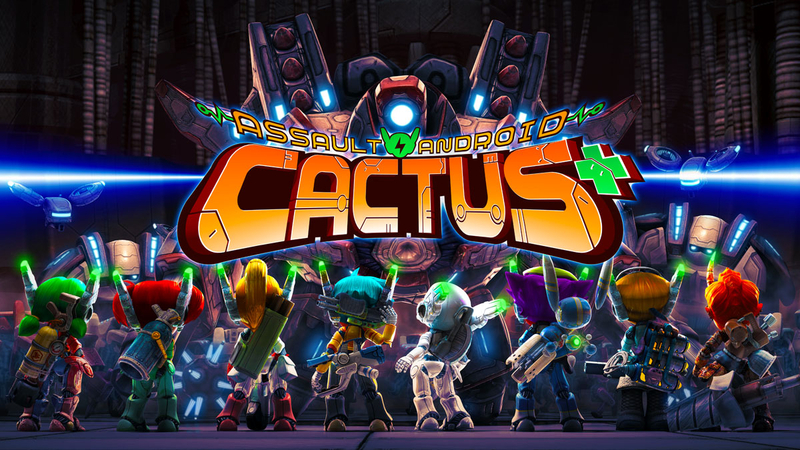 Assault Android Cactus' greatest weakness is that it defines itself as an "arcade dual stick shooter" in such a traditional fashion that it's limited by that.